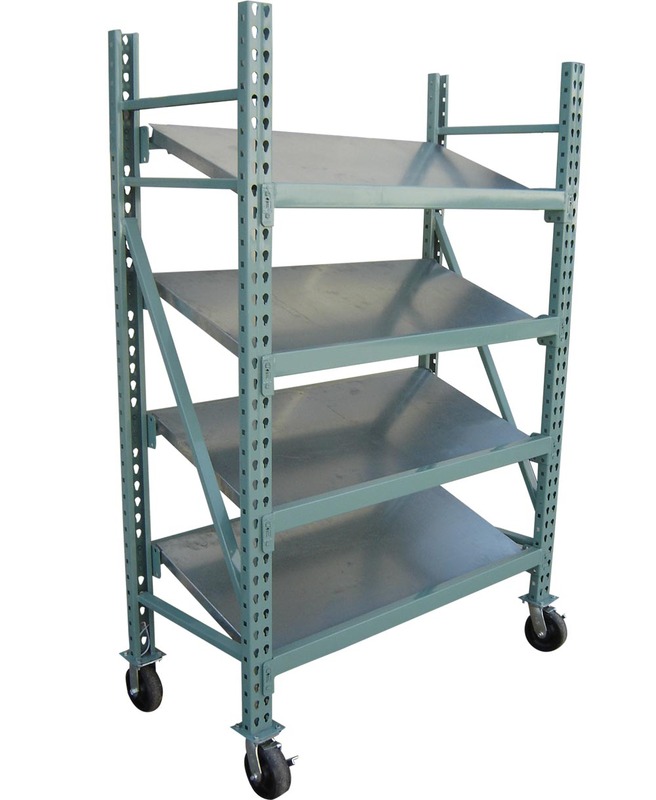 Drop in galvanized steel trays drop onto pallet rack beams to create picking shelves. Angles to provide easy access to cartons. Keneco supplies uprights and beams or trays can be made to fit existing rack. Keneco Inc. Keneco specializes in the manufacture and supply of gravity fed carton flow systems for inventory handling, order picking and assembly applications.